Here at Something Greek we thought that in honor of Black History Month we would highlight some of the successful African American Fraternity and Sorority Members. Check out the ones we found below, and feel free to comment with anyone that we missed! Michael Jordan is a part of Omega Psi Phi Fraternity. Poetry legend, Maya Angelou is a member of Alpha Kappa Alpha Sorority. You may remember from our post on Martin Luther King Day that Dr. Martin Luther King Jr. was a member of Alpha Phi Alpha. His wife, Coretta Scott King, was also Greek. She was a member of Alpha Kappa Alpha. 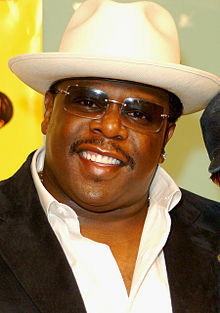 Cedric "The Entertainer" Kyles was a member of Kappa Alpha Psi Fraternity. Jada Pinket Smith is a sister of Alpha Kappa Alpha. The Reverend Al Sharpton is a member of Phi Beta Sigma Fraternity. Condoleezza Rice is a member of Alpha Chi Omega. Bill Cosby is a brother of Omega Psi Phi. Even though she couldn't shop at Something Greek for her sorority's apparel, I have a special place in my heart for Aretha Franklin. This member of Delta Sigma Theta demands R-E-S-P-E-C-T.
Weatherman Al Roker is a honorary brother of Phi Beta Sigma. The Young and the Restless star, Victoria Rowell, is a member of Sigma Gamma Rho Sorority. Shaquille O'Neal is a brother of Omega Psi Phi Fraternity. And last, but certainly not least, Toni Morrison is a sister of Alpha Kappa Alpha. We hope you enjoyed our Famous Greeks tribute to Black History Month. Stay tuned for our trip back to where the Famous Greeks phenomenon started, the Oscars. Coming soon!